Interior trim and mouldings are relatively inexpensive materials that can add detail to your home to make it look stunning. When it is installed correctly, the added elegance and style will increase the appraisal value of your property. The following tips will help you choose the right interior trim and mouldings for your home update. 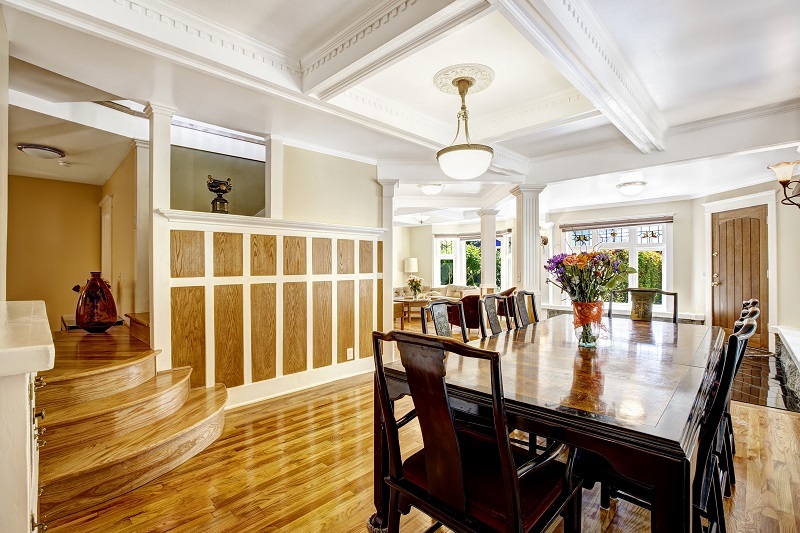 Interior trim and moulding add value because they enhance the home’s aesthetic. Make sure you choose a style that matches the existing décor and architecture. For example, an ornate moulding won’t look as good when installed in a minimalist or contemporary style area. You can build interest in an interior space by painting your moulding. The contrast can add beauty and give the room a more personalized look or provide an illusion that a space is larger. You don’t have to do every room in your home to benefit from a trim and moulding installation. Instead, have it installed in the main rooms. These are the household’s shared spaces, like the kitchen, dining room, or living room. Hiring a professional to install interior trim and moulding is a good way to get the best results. Contact us or stop by John’s Lumber in either our Shelby Township or Clinton Township today to meet with one of our interior design experts and find out how we can help make your Southeast Michigan home look beautiful without breaking your budget.